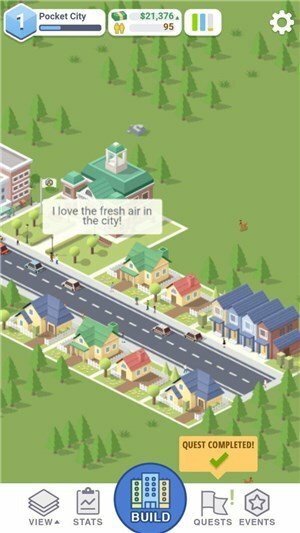 Looking for a game similar to Sim City on Android or iOS? Pocket City will scratch that itch for you, for free. Before we get talking about the game, allow me to rant a bit about a similar game, called Theotown. I was one of the many public beta testers of this game, and was really looking forward to it. The developer had initially promised no-ads or IAPs, but later became devious and added both to the game, thus betraying the beta testers. 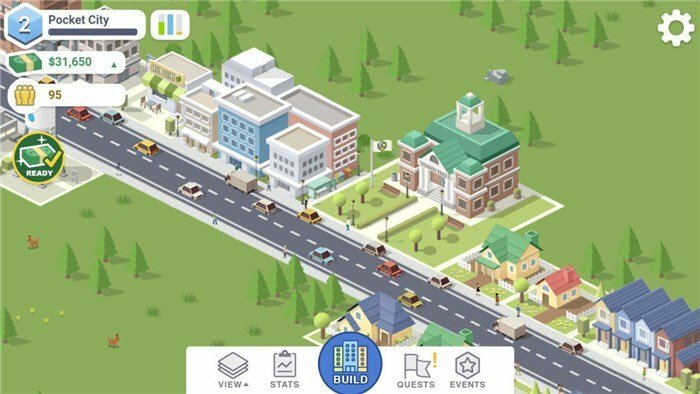 Ever since then, fans including myself had been looking for a good city builder game on Android, and by that I mean one which doesn’t have timers, or energy limits, or in-app purchases. 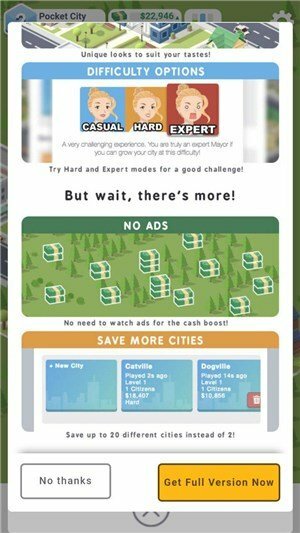 Welcome to Pocket City, a place refreshingly devoid of money laundering IAPs. Don’t get the wrong idea, the game isn’t going to cost anything from your pocket. 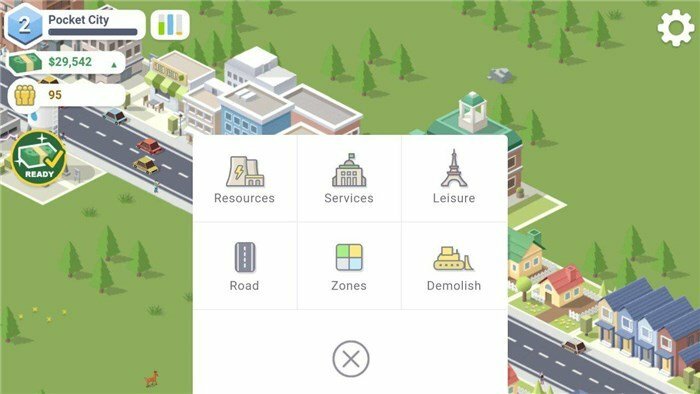 The name literally means you can manage a virtual city from your pocket. Is Pocket City really free? Yes, but it has ads. It isn’t that bad to be honest, the ads don’t pop up during gameplay. The premium of the game version has no ads, so depending on your spending power you can buy the paid version or play the free one. And unlike the majority of games of this genre which are available on the Google Play Store, Pocket City has no IAPs, that’s right, no In-App Purchases. It is too good to be true. Pocket City is also available for iOS, and I did play it on my iPad and it offers the exact same experience on Android, including the price tag of free, which is quite rare to be honest. Many game developers publish their game on the App Store as a premium paid version, and release the same for free with ads on Android, using piracy as an excuse. It is true to an extent, but given the number of Android devices, an ad-ridden game installed on thousand (or millions of devices) could possibly make the game developers more money than a premium iOS version does. Glad to see that CodeBrew Games, that’s the developer, isn’t one of those. Tap the screen and drag your finger to move around. If you have played Sim City, it is basically the same. 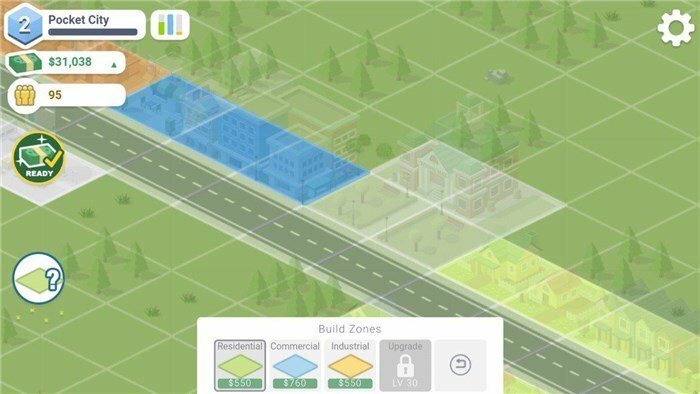 You need to build Residential zones to allow people to move in to your city. They will build houses to settle into. This is how your city grows, and is always the first zone to build. Industrial zones provide jobs for your citizens, and is the heart of the city’s economy. You should build this after building a residential zone. Commercial zones provide stores, restaurants, etc where your citizens can buy stuff with the money they earn. This is how the game lets you replenish your cash flow, by charging sales tax from the zones. You earn cash every second. Water and Power (electricity) are required for buildings to function. Each building draws some resources, so you will need to ensure that there is sufficient water and power for all buildings. There are other factors like Health, Traffic, Crime, etc, which affect the gameplay. You get the idea, right? Does Pocket City have timers? It kind of does, but you don’t have to wait for minutes. It only takes a few seconds, depending on what you are building. Thankfully, there are no wait timers or energy bars to make you wait for ages or spend real-life currency. The Air Quality is okay! The premium version gives you the Sandbox mode, where all buildings are unlocked. And it has an instant build feature. You can customize the Town Hall. There are three difficulty options (Casual, Hard, Expert) to choose from in the Premium version. The full version has no ads. You can have 20 cities, which means 20 different saves, instead of just 2 in the free version. 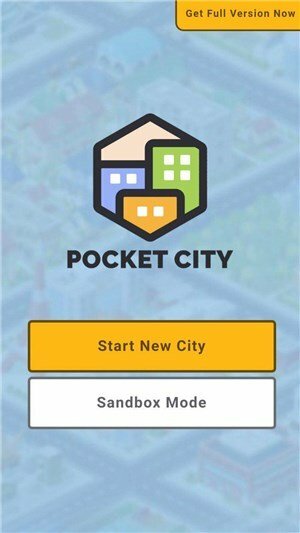 Download Pocket City for free from the Google Play Store or the iOS App Store. 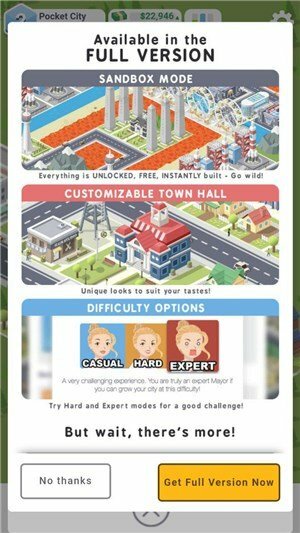 The game can be played in Portrait mode and landscape mode, which is unique and can be a fun way for you to pass the time during train, bus or air travel to office, college, vacation, etc.